Given the source code for an application written in a native programming language, before you can run it, you must first compile the text into an executable image of raw machine instructions that your “native” device processor(s) know how to execute. After the compilation is complete, you command the operating system to load and run the application program image. Given the source code for an application written in a “managed” programming language, you must also run the text through a compiler before launching it. 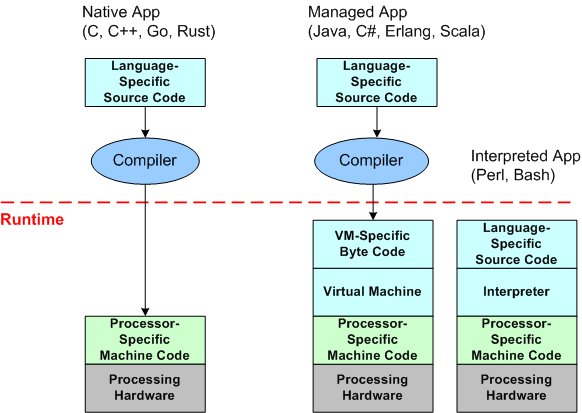 However, instead of producing raw machine instructions, the compiler produces an intermediate image comprised of byte code instructions targeted for an abstract, hardware-independent, “virtual” machine. To launch the program, you must command the operating system to load/run the virtual machine image, and you must also command the virtual machine to load/run the byte code image that embodies the application functionality. 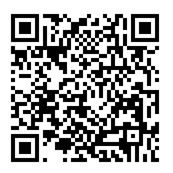 During runtime, the virtual machine translates the byte code into instructions native to your particular device’s processor(s). Given the source code for an application written in an “interpreted” programming language, you don’t need to pass it through a compiler before running it. Instead, you must command the operating system to load/run the interpreter, and you must also command the interpreter to load/run the text files that represent the application. In general, moving from left to right in the above diagram, program execution speed decreases and program memory footprint increases for the different types of applications. A native program does not require a virtual machine or interpreter to be running and “managing” it while it is performing its duty. The tradeoff is that development convenience/productivity generally increases as you move from left to right. For interpreted programs, there is no need for any pre-execution compile step at all. For virtual machine based programs, even though a compile step is required prior to running the program, compilation times for large programs are usually much faster than for equivalent native programs. Based on what I know, I think that pretty much sums up the differences between native, managed, and interpreted programs. Did I get it right? As you can see, the editor is showing the content of the “hello.erl” source code file, which contains the definition of the “hello/0” function. The console view at the bottom of the screen shows the result of manually typing in “hello:hello().“, which runs the program on the version 5.8.2 Erlang virtual machine (VM). Upon completion, the VM did what it was told. It printed, duh, : “Hello World!”. 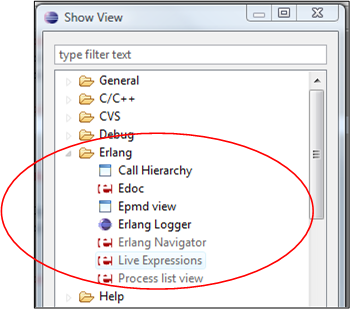 The complete list of Erlide views available to aspiring Erlang programmers is shown below. 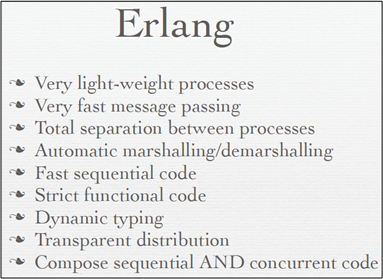 Since I’m a newbie to the land of Erlang, I have no freakin’ idea what they do yet. 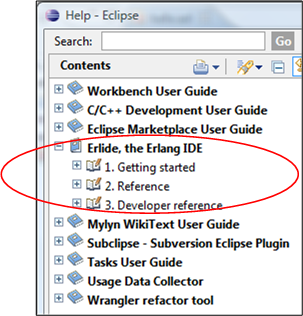 With the aid of the supplied eclipse Erlide help module (see below), I was easily able to configure and link the IDE to my previously downloaded and installed distribution of the Erlang VM. 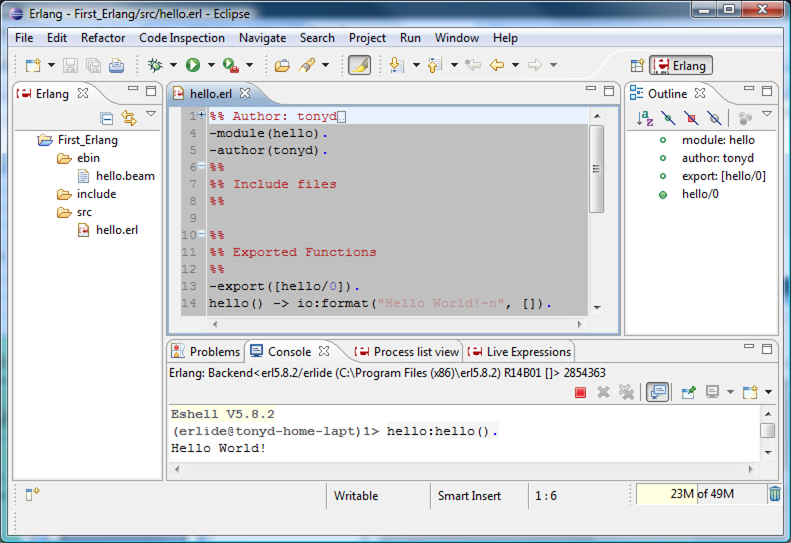 The snapshot below shows the configurability options offered up by Erlide via the eclipse “Preferences” window. I won’t go into the details here, but the “Installed runtimes” option is where you connect up Erlide with your installed Erlang VM(s). So, C++ programmers, what are you waiting for? 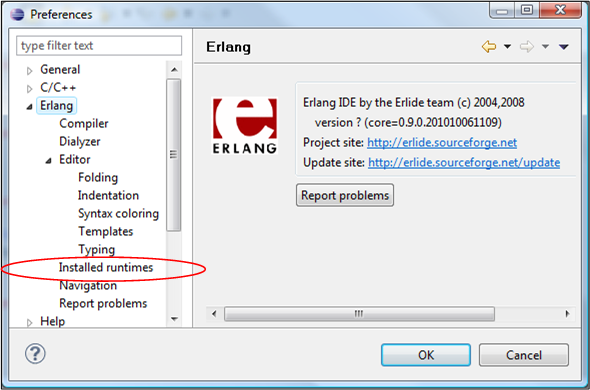 Download the latest Erlang distro, the Erlide eclipse plugin (you do use eclipse, right? 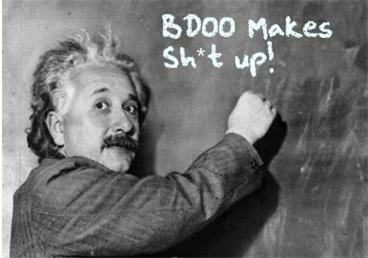 ), buy a good Erlang book, and start exploring this powerful and relatively weird programming language. Oh, and thanks to the great programmers who designed, wrote, and tested the Erlide Eclipse plugin – most likely on their own time. You guys and gals rock!